Merry Christmas to all our dear friends! Flo took apart the balljoint of the steering system of his Steyr 180a tractor and found parts which didn’t belong there. Can you spot it? Yesterday we celebrated the end of the season at the monthly Motornights in Korneuburg. Grein was a real burner! …the sound of italian one-cylinders, german flat-fours and american V8 engines comes over Korneuburg. They all meet at the old shipyard beside the danube – a great location for spending the first Friday evening every month. After so many times we passed the oldtimer museum on our way travelling to the bug show in Eggenburg, we decided to visit it on Saturday. We have seen more than 150 exhibits of 130 years of automobile history! Especially fascinating were the cars made in Austria by Puch and Steyr or the self-made sportscar “Angelmar” based on Volkswagen and Porsche 356 parts. Note that only five or six cars of this huge collection are not privately owned by Mr. Koller. For a long time Benjamin was looking for the perfect bus! Now he has found it! It’s a T2b Walk-Through Bay Window Panel Van from the mid 70ies. Theres a lot of work waiting but its absolutely worth it! Thanks to our Friend “Käfertom” for the perfect deal! …that’s the name of another monthly meeting in the place to meet – the old shipyard in Korneuburg near Vienna, where a crane and brick halls form the background for Old- and Youngtimer of all brands, US-cars, motorbikes and of course vintage VWs. Due to the huge squad of vehicles I decided to concentrate the pictures on the latter. In a convoy of six beetles – year of construction from 1963 to 1996 – we hit the road to Eggenburg in Lower Austria. 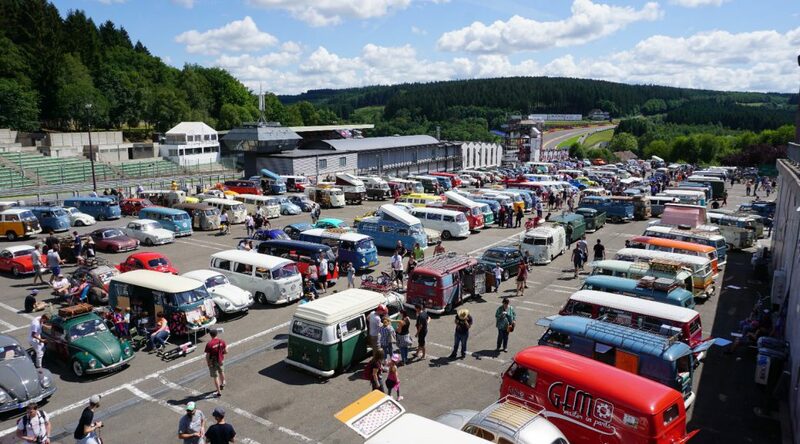 Every year on May 1 there takes place the biggest meeting of air-cooled Volkswagen in Austria. Although it is far from the size of the famous Maikäfertreffen in Hannover where we have been last year, we could also spot some nice rides. Watch out! Today we celebrated the season start at the parking lot of the SCS. There was held the first of total six monthly meetings during the warmer time of the year hosted by Altblech. With five bugs we enhanced the manageable number of cars in front of the fast food restaurant and had a great time seeing all the familiar faces again. Please excuse the few entries in the past, we are working on a new page.